Register before it's too late! 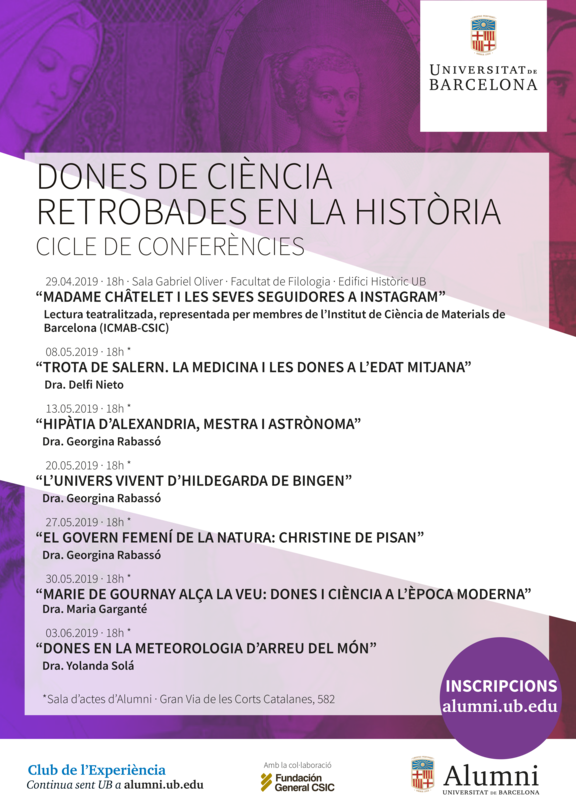 The dramatised reading "Madame Châtelet and her Instagram followers", which recently received a Grant from FGCSIC, will open the Conference Cycle organized by Alumni UB "Dones de ciència retrobades en la història". The dramatised reading will take place on Monday, 29 April at 6 pm at the "Sala Gabriel Oliver" (Facultat de Filologia, Edifici Històric UB). Entrace is free but registration is needed.